If you’ve already downloaded these 9 best automotive apps for your smartphones, it’s safe to say you’re a digital native and a fan of efficiency. Equally important to this tricky business of automotive is ensuring that luxurious metal. With the right mobile apps at your disposal, you can avoid all the insurance legwork and enhance your driving experience. 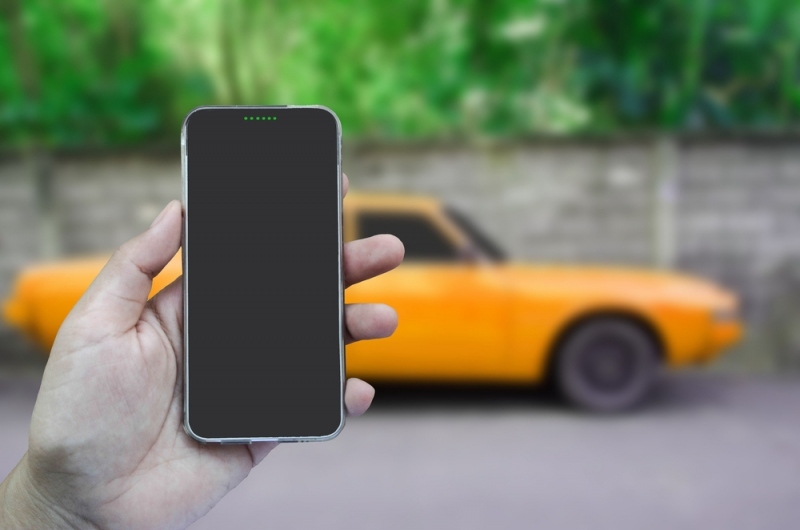 These 5 best car insurance mobile apps available for both iOS and Android platforms can help everyday customers accomplish a richer driving experience. Motor Club Mobile App is your personalized 24/7 roadside assistance in all cases of big and small emergencies. It can be a towing, battery jump, flat tire, fuel delivery or locksmith services. Whatever the emergency may be, the app will seek the desired help. Simply, select the issue from the options menu and the mobile app will use your phone’s GPS to locate your vehicle and send help. By tracking the estimated time of arrival of responders, the car insurance mobile app tells you how soon is the help coming. You can get all these benefits as an Allstate customer for just $52 for the first year. So sign up now and stay secured. The creators of Geico Mobile have blended simplicity and efficiency in the best possible way, making Geico Mobile one of the best functioning car insurance mobile apps. Facilitating almost all basic services, Geico Mobile helps you pay your bills, view documents, and make minor edits to your policy. The car insurance mobile app also gives you a chat service for customer support, access to roadside assistance, and the ability to file claims. The customer support comes in real handy when you want to make large policy edits. The UI is beautifully simplistic and even includes Material Design, making it an all-rounder car insurance mobile app and it’s free, so what are you waiting for? Fuelcaster not only keeps you going on the road but helps you save money while you’re on it. The car insurance mobile app offer predictive analysis that uses the gas prices database to help you decide when to fill up. All it needs is your ZIP code, and Fuelcaster will recommend you when to fill up, now or later based on its analysis of the lowest gas pricing. The experience gets even better as the mobile app can find you the cheapest gas stations with their gas prices available in your locality. It also displays a range of gas prices in your area so you can see which stations are cheapest. The car insurance mobile app is free for Esurance customers and non-customers, so start saving that gas money now. If you’re a parent with teen drivers, DriveSafe is a must have. Not only can you track your kids’ driving behavior but sends alerts so they don’t text and drive. The app uses a telematics plug-in that lets you track what the kid is doing behind the wheel. You are given step-by-step instructions to install the device and connect it to your phone via Bluetooth. Once that’s done you can customize alerts whenever your teens speed up too fast or are driving past curfew. In fact, when the car is in motion, the teens who are driving will even see a banner reminding them not to check their devices if they open it. The banner warning, however, is unavailable for Android users. To facilitate better experience, the car insurance mobile app gives parents a complete summary of their teens’ driving. All these benefits can be bagged for free by Esurance policyholders and are available wherever it offers car insurance, except Massachusetts and Pennsylvania. In case you’re looking to buy a new car, CarCapture app helps you glide through the legwork. The car insurance mobile app helps you find the Edmunds True Market Value®, of the desired car and locate its dealership in your area. Evaluate the buyer-seller experience by accessing not just the latest vehicle consumer star ratings but also vehicle makers/model professional reviews. To top it all get a State Farm® auto insurance quote. All this information can be unlocked by simply uploading a picture you clicked on the car you want to buy. If what is just said sounds too good to be true, try the car insurance mobile app for yourself.